For the first time a Bollywood superstar has been chosen to be a Goodwill Ambassador for the games. And he is none other than Salman Khan. Superstar Salman Khan will represent India in the 2016 Olympics to be held in Rio as he has been nominated as the Goodwill Ambassador for the Indian Contingent. 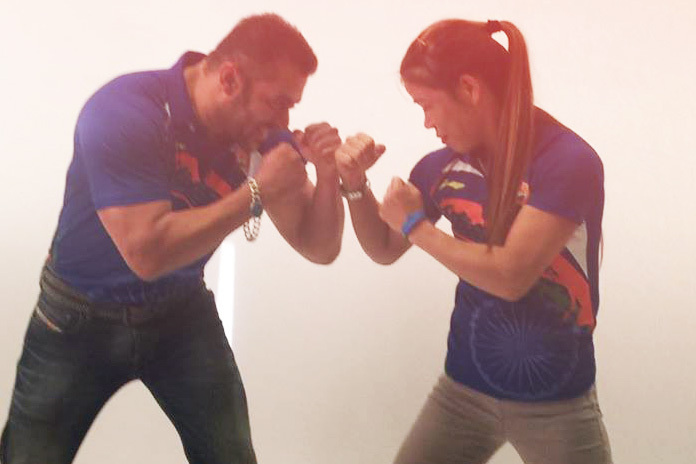 And Boxing Legend, Mary Kom posted a message of gratitude for Salman Khan on her Facebook Page for the same. and being the goodwill ambassador of Indian contingent for ‪ #Rio2016‬‪#‎Olympics‬.